Jeff and Gita Suchland bring the warm-fuzzies to the Midwest, courtesy of Alpacas of Troy. Farmers’ markets are home to the freshest local products, and creations from Alpacas of Troy are no different. 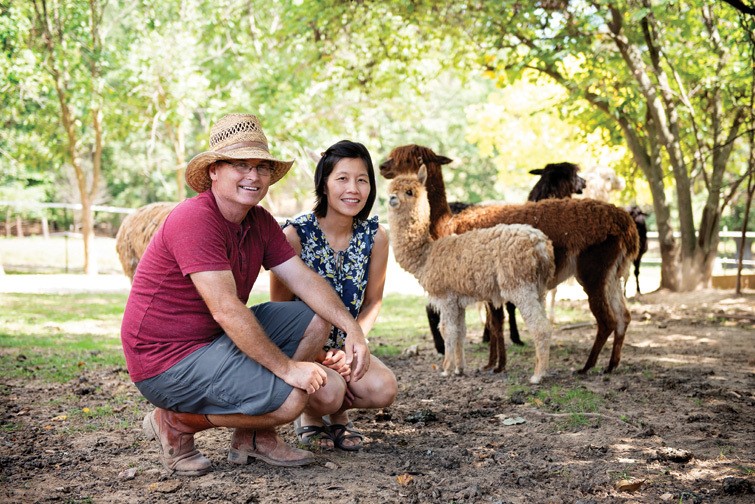 Though they don’t have a storefront, Jeff and Gita Suchland maintain a booming business at various St. Louis farmers’ markets by selling their quality, homemade alpaca fiber products. The couple's Lincoln County farm is home to much more than alpacas: Sweet “guard dogs” greet those who drive in past the fields of horses. When paying the alpacas a visit, visitors get to meet a family of goats and the occasional mini pig. 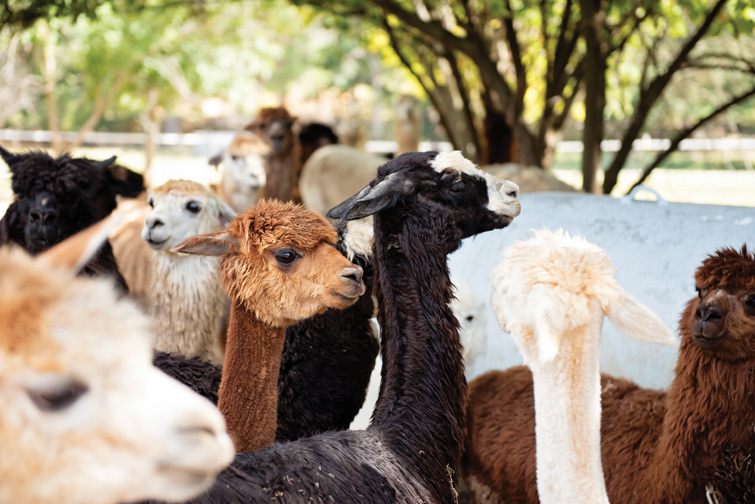 These animals are a part of a perfectly balanced system to keep the alpacas safe and happy while creating a family-oriented setting for the Suchlands to create products such as yarn, dryer balls and an assortment of handmade creatures. The Suchlands took over the family farm when they moved back to Missouri from San Diego. Jeff’s father used to keep cows but Gita explains there are many reasons why she and Jeff chose to raise alpacas. “Alpacas are easy on the land, gentle to each other and are simply cuter than cows are,” she laughs. The process begins in the morning; Jeff tends to the alpacas throughout the day, moving them from field to field. The alpacas only eat what the land provides, so moving them from one field to the next is crucial for sustaining the proper amount of grass. He then dedicates four hours to making the yarn from his alpacas’ coats. Jeff sheers the alpacas to get what he calls the blanket. 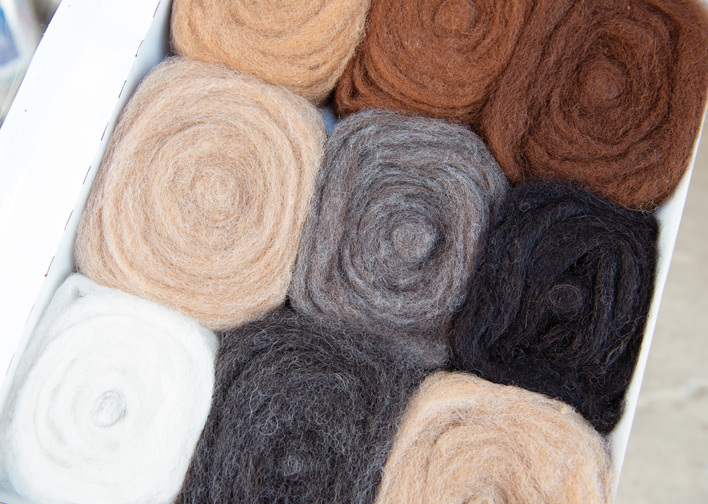 The blanket covers the alpaca’s back and contains the highest quality fiber for making yarn. 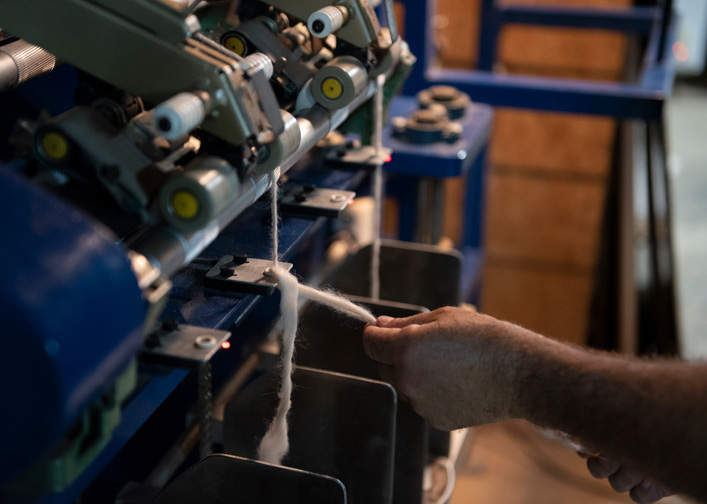 The blanket is tumbled to take out dirt before going through a picking machine, which pulls apart the fiber to make a delicate fluff. Jeff cleans the fluff in a special washing machine to make sure the fiber doesn’t felt (felting occurs when fibers stick together). 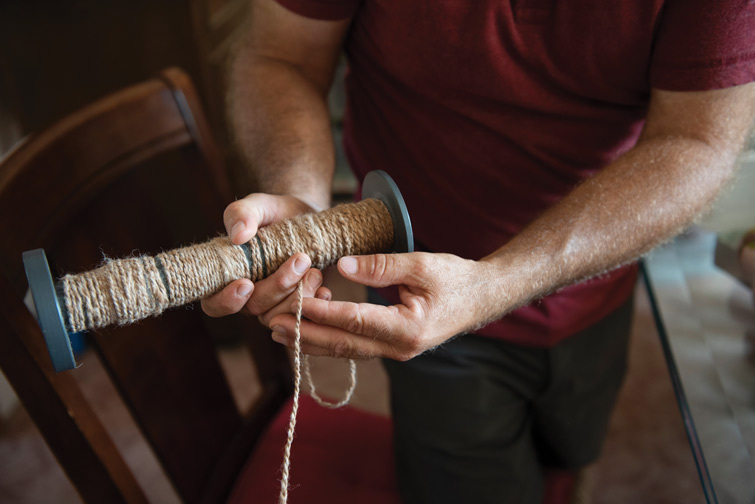 Next, he processes the fluff to remove coarse guard hair, which allows him to create "roving," a strip of processed fiber that has not yet been spun into yarn. After all that, Jeff is free to spin the yarn however he’d like. 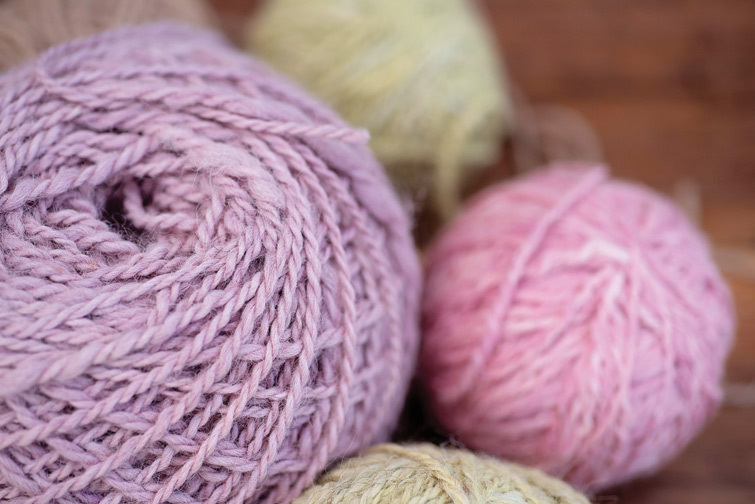 The yarn the Suchlands produce comes in a wide range of colors: 22 from natural variations in the alpaca fleece, plus yarns dyed with all-natural materials, like red onion skin and turmeric, which are versatile and gentle on the skin. The Suchlands make much more than just yarn, though. For example, Gita’s handmade dryer balls are top-sellers. When tossed in with a load of laundry, the product helps clothes dry more quickly and prevents wrinkles. 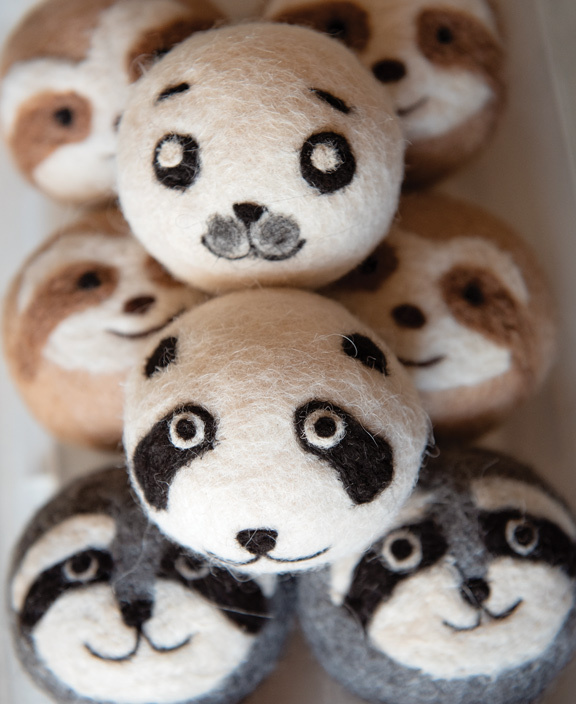 Gita decorates them with a special felting needle that allows her to apply designs to the products. She also creates seasonal decorations. Zoo Babies, Gita’s favorite product to make, are small figures made from the coarser alpaca fur that cannot be used for yarn. She makes figures like pumpkins, yetis and owls. She also creates smaller products such as cat toys, Christmas ornaments and magnets. The Suchlands have partnered with another local company, Seed Geeks, to make all-natural felted soap. 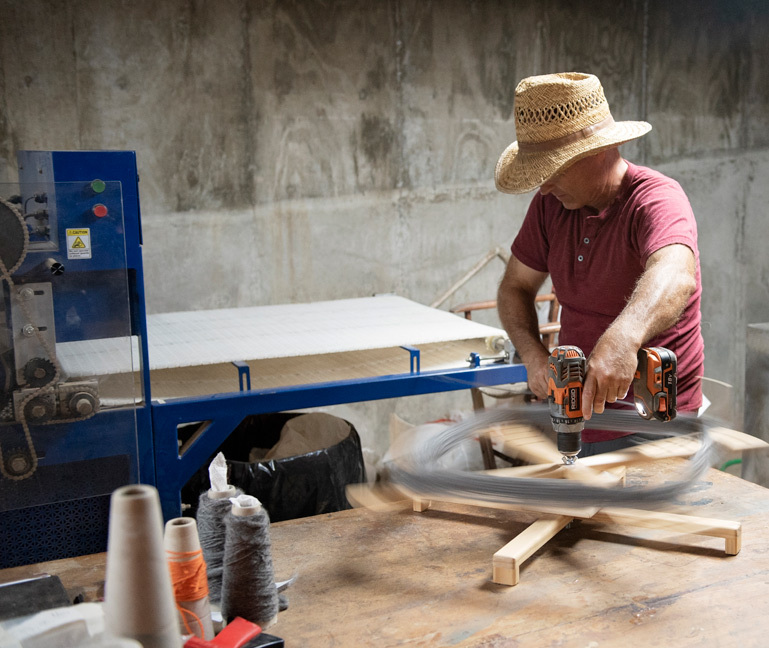 The Suchlands have taken great care to develop quality in all of the products they create. To see Alpacas of Troy products up close, follow the business on Facebook for updates on where the Suchlands are selling or visit their website at www.alpacasoftroy.com.